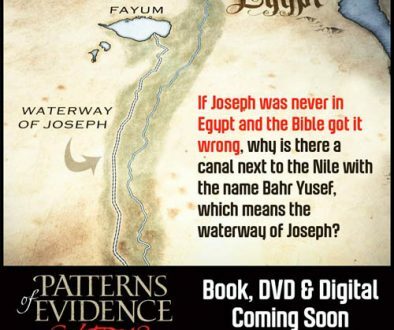 CHAPTER 1: The Standishes use quotes from Randall Price and others to present what we know is not completely accurate from Scripture. One such reference is found from a source identified from Randall Price’s book The Third Temple, where he quotes Gershon Solomon, the Director of the Temple Mount project in Jerusalem. Since they indicate there is a difference I’m not certain why they are even using the quotes in the first place, Ron’s view was clearly different than Price’s, but the issue might be Ron’s view of the atonement. First of all, this is not a quote from Ron Wyatt, only the Standish interpretation of comments or materials they read. Actually, Wyatt was well versed in the writings of Ellen White, an early pioneer and leader in the SDA church. His theological impetus was greatly influenced by her writings, and founded completely on the Scriptures. This is what I mean about misunderstanding: Standish is confusing two totally separate things. Randall Price is referring to a “completed Redemption,” and Wyatt is referring to a completed atonement. Notice this comment from E.G. White; RH 9/24 1901 – “Christ planted the cross between heaven and earth, and when the Father beheld the sacrifice of His Son, He bowed before it in recognition of ITS perfection, It is enough, He said, the atonement is complete.” This is what Ron believed. Apparently what has eluded the Standishes is the clarity of what was occurring at Calvary. This is not a criticism at all, since most pastors/teachers, and the Christian community have a general concept only of what was happening. Most all of the sanctuary service was illustrated during Calvary, with the exception of the offering of the red heifer on the mount of Olives, only performed approximately 8 or 9 times by Moses. This altar and sacrifice typified the final destruction of the world, however, during Christ’s passion His blood was shed, collected and applied, and then the cleansing of the resurrection occurred. When John proclaims Christ to be the way, truth, and life, (John 14:6), he is referencing to the entire Temple service, for “Thy way Oh God, is in the Sanctuary” (Ps77:13). What some may miss is the legal requirement necessary for the resurrection. The Atonement must be completed, the satisfaction of the demands of the law accepted by the Father as sufficient. Without a complete atonement at that time, the resurrection could not have legally occurred. A completed Redemption however, will occur after the millennium and the destruction of the wicked, and the earth being made new, “and there shall be no more curse…,” (Rev. 22:3). We will discuss more of the detail concerning the sacrifice of Christ later. 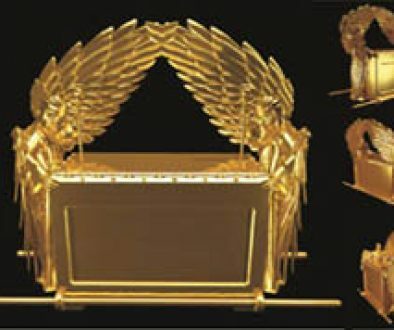 After Russell quoted the Jewish fellow saying that the Ark should only go into a new 3rd Temple, Russell wrote, “Such convictions pose serious treats to Middle East peace” — yet throughout HOLY RELICS the Standishes repeatedly take the position that there should be “no problems” with Ron Wyatt showing them or others the Ark of the Covenant! How very short-sighted of them! 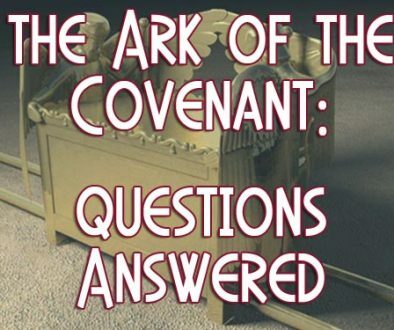 Yes, Ron decided to talk about the Ark scenario publicly, but showing the Ark to the world must be done only in the LORD’s timing.